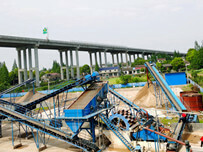 Spiral sand washing machine is also called spiral stone washing machine. It is mainly used for special mechanical equipment for removing impurities (such as dust, mud) from sand and gravel products. 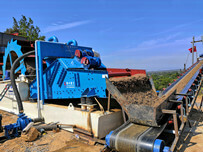 It is called stone washing machine because it is usually used for cleaning stone building materials. 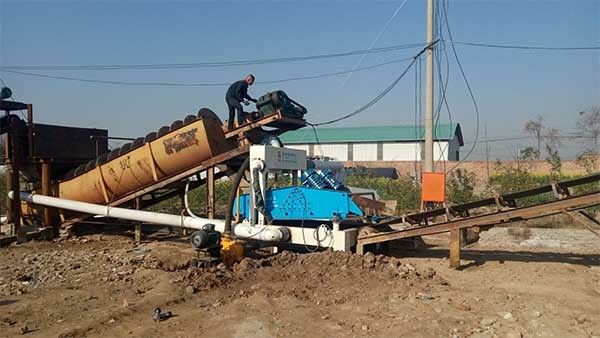 The rotor of spiral sand washing equipment adopts a central structure, the spiral blade is mounted on the central shaft, and a reducer is connected to the central shaft for work. A device for mechanical extension by virtue of the fact that the specific gravity of the solid particles is different and thus the rate of sedimentation in the liquid is different. 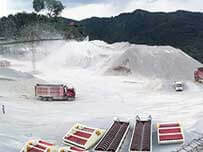 The washing efficiency of spiral sand washing machinery can reach about 98%, this combination is the most effective method for the refractory ore. When the spiral sand washer works, the motor rotates slowly through the V-belt, reducer and gear, and the impeller rotates slowly. 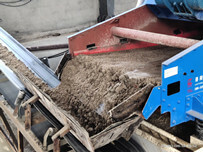 The gravel has a feed trough into the washing tank, which is tumbling under the impeller and grinds each other to remove the surface of the gravel. Impurities, at the same time destroying the water vapor layer of the coated sand to facilitate dehydration; at the same time, adding water in the opposite direction of the sand, forming a strong water flow, taking away the foreign matter with small impurities and small gravity in time, and discharging it from the overflow tank to complete the cleaning. effect. 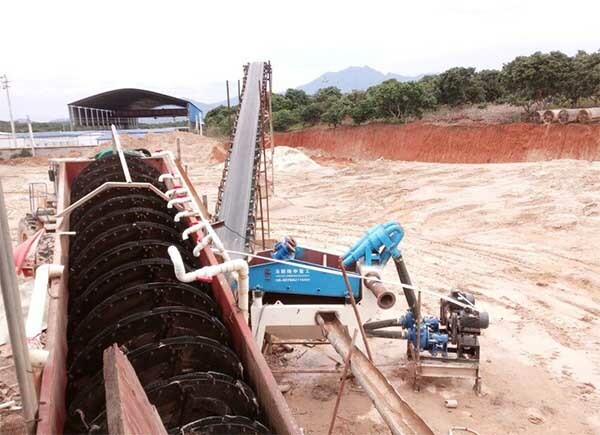 The clean sandstone is taken away by the blades, and finally the sandstone is poured from the rotating impeller into the discharge chute to complete the cleaning of the gravel. Screw washer, screw length, sealing system, simple structure, strong processing capability, convenient maintenance. The characteristics of spiral washing equipment prompt it is widely used in various industries. Next：How crushers to take the responsibility of environmental protection?